Where can I find the Circus Museum? Circusmuseum is not a museum as such, but rather a website where the highlights from the circus collections of the Special Collections of the University of Amsterdam (UvA) are shown. The materials can only be consulted by appointment. What are the circus collections? • The combined circus collections including posters, memorabilia, programmes, archives and photographs of the University Library of the University of Amsterdam. • The materials that refer to the circus theme in the collections of Theater Instituut Nederland. • The archives of organisations and private persons that – either directly or indirectly – refer to the circus. • Special publications with respect to the circus. The collections are international, with a strong emphasis on European circus materials. The backgrounds of and access to the separate collections are described in the Circusonderzoeksgids (‘circus research guide’). I don't see any images of the 'nouveau cirque', why is that? Objects from and about the ‘nouveau cirque’, from Cirque du Soleil to social circus are still protected under copyright laws and can not be shared. 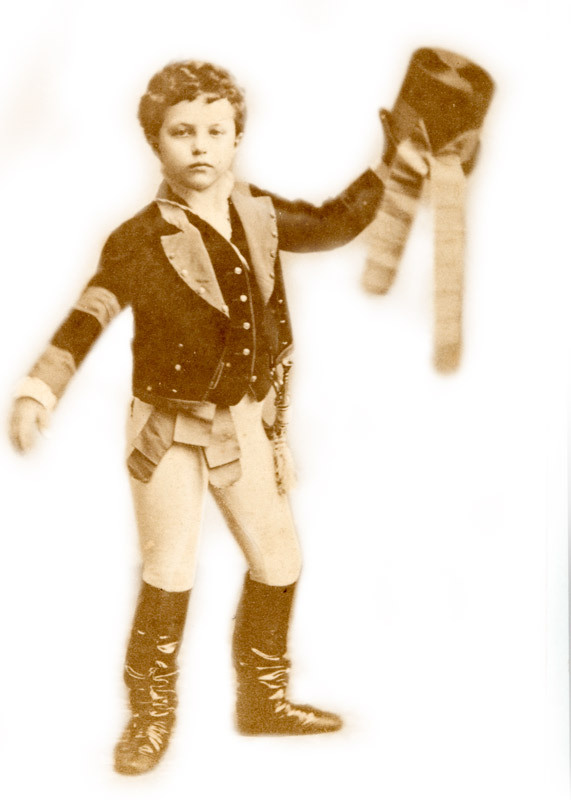 Objects of these circuses and performances are and will be collected for future research. Is there any more material besides that which can be found on circusmuseum.nl? The circus collections consist of more than ten thousand items, thousands of posters, photographs, postcards, hundreds of books, pictures, flyers, programmes, but also little sculptures and models. On this site you will find only a fraction of all materials. If you wish to search all materials, please check the Circusresearchgids with search entries and tips. What is the 'Circusonderzoeksgids' or Research Guide? The PDF document ‘Circusonderzoeksgids’ or ‘Circus Research Guide’ tells you how and which archives can be searched for research into the circus theme. The guide also provides tips to enhance the research, an overview of other (online) sources, and contact information of experts. The guide is available in English on the page Collection. A large part – but not all of it – of the material has been digitalised and catalogued. All materials on this site are available digitally and can be downloaded in high-resolution quality. The catalogues and databases indicate whether the material has been digitalised and can be shown. Sometimes materials cannot be published digitally due to privacy or copyright legislation. We are constantly working on the digitalisation and publication of the materials. At your request certain materials can be digitalised; see the Circusonderzoeksgids for the exact terms and conditions. I want to use an illustration from this site. Can I? Yes, you can – under certain conditions. Reproduction by printing or electronic or mechanical copying is allowed only for private use or study. Reproduction of (part of) this website with the aim of publication or exploitation is not permitted. References to the use of and quotes from this website need to mention the collection as a whole or the separate item fully and without any abbreviations at least once. Where can I see the circus materials? If you want to study the materials you will need a visitor pass or library card of the University Library Amsterdam. The materials can only be viewed in the library. There is only partly open access to the archives. Materials can only be viewed in the study room after consultation with a curator. The full procedure on inspection of and requests for documents from the collections is described in the elaborate information in the Circusgids. Are there any similar collections or sites? The website of the Theaterencyclopedie offers information on theatre in the Netherlands, past and present. Anyone can contribute to this Theaterencyclopedie: together theatre lovers and professionals make the Theaterencyclopedie into an up-to-date and complete encyclopaedia. The Theaterencyclopedie is fed with information from the catalogue of the Theatercollectie. If you search for ‘circus’, you will find a lot on performances, circuses and artists. This site is Dutch only. Memory of the Netherlands (Geheugen van Nederland) is a joint project of the National Library of the Netherlands (Koninklijke Bibliotheek) and various museums, aimed at making materials digitally available for research and other ends. Part of the Theater Collectie has also been included. To search simply type ‘circus’ and download. More than 100 collections of museums and other cultural institutions are affiliated with the Netherlands Collection. In total that yields around 6 million objects, all searchable in one website. A lot of material from the Circus collections is searchable here. Search for circus and get all the circus materials. Look for Circusmuseum for specific material from our collection, this site is Dutch only. The digital library of the Bibliotheque nationale de France and other partners. Open access to digitalised materials, ranging from cartularies and manuscripts to magazines, photographs and videos. French only. Search for ‘circus’ and get thousands of results. Extensive online database of artists and acts, circusus and glossaries. Use the online library catalog to search the library’s archives, book, and photo collections. I want to do a presentation in class about the circus. What can I tell and show? I have some circus materials myself. Can I donate these? The large collection is the result of many donations. If you want to support us with a donation, please ask our collection specialist and curator performing arts & media Hans van Keulen, j.h.k.vankeulen@uva.nl about the criteria. I have a different question. Who should I contact and how?